Begin organizing one thing at a time. Start with the mail, and toss everything that is not a bill or does not require an action. Designate a place for bills and then a separate pile for action items. Work 15 minutes each day on action items. Designate 1 hour each week to pay bills and put it on your calendar or phone reminder system so you don’t forget. If you don’t have a calendar or phone reminder system, begin using one. Schedule all your appointments and school/work events so that you don’t forget anything. Become a member of the “DIN-DIN” club. Do it now! If you get into the habit of doing things as they need to be done, you won’t have piles of chores or jobs that accumulate and become overwhelming. Speaking of piles, try to do 1-2 loads of laundry each day so that it doesn’t become a huge job. Recruit your kids to help, or better yet, if they are old enough, put them in charge of their own laundry. Learn to say no to the things that aren’t an important priority. It might help to write out a list of your priorities and the things that really matter to you. In the future, compare possible activities to your priority list, and if they don’t show up on your list, consider saying no. Begin using one contact list for everything—personal contacts, school, business or professional contacts, and bills/utilities. That way you won’t have hundreds of little pieces of paper with phone numbers on them that you can’t find. Divide your chore list up by days. Just do one room per day or one chore per day. Again, enlist your children to help. They can be responsible for their rooms and one chore per day so that you aren’t doing it all. Put together a binder of all the important things that you need to keep track of. This can include your calendar, contacts, financial organizational system, medical information, chore lists, etc. That way you will always know where to go for important information. If clutter is a problem, attack one drawer or pile per day. It will take a while to work your way through the whole house, but limit yourself to that one item so you don’t become overwhelmed or cause a flare-up. Consider asking for help. Pay your babysitter or teenager to help with things like organizational tasks, laundry, or cleaning. Work for 15 minutes at a time, then rest for 30 minutes, and repeat. It will take a while to accomplish big tasks, but at the end of the day you will see progress. This is called “pacing” and enables you to keep going throughout the day. It will also help to prevent burn-out and flare-ups that put you out of commission for days at a time. Do certain things every day: spend time with God (even if only for 5 minutes), make your bed, throw in a load of laundry, load the dishwasher, and do a 15 minute pick-up in the main living areas. Then you will wake up and feel ahead of the game each day. As you do these things, you will begin to feel like you have a better handle on life. Have realistic expectations of yourself and don’t over-schedule activities. Pace yourself and allow yourself rest periods throughout your day and rest days throughout your week so that you can keep going. Most importantly, realize that your best IS good enough even if your best isn’t what it used to be. Chronic pain and illness is a game changer. You can’t expect yourself to do the things you used to be able to do when you were healthier. Having done what you can, then you must trust God to handle the rest. (especially in the small things that overwhelm). (by trusting in God each minute, each hour). (by actually making His desires become your own). (no matter how small or seemingly insignificant). (as you just keep doing the right things one at a time). God wants us to know that no matter how small and insignificant our way seems, He still sees us and knows the desires of our heart. He wants us to rest securely in Him as we keep on keeping on and trusting in Him. We must live each day one step at a time, one minute at a time, faithfully doing the things He has called us to do even though we sometimes feel useless, powerless, and frustrated. What has God called you to do each day? Do you wipe the little faces of your children and read countless books over and over again each day? Do you serve in small ways for others that seem unnoticed and unappreciated? Do you work to bring income in for your family when you’d rather do anything else? 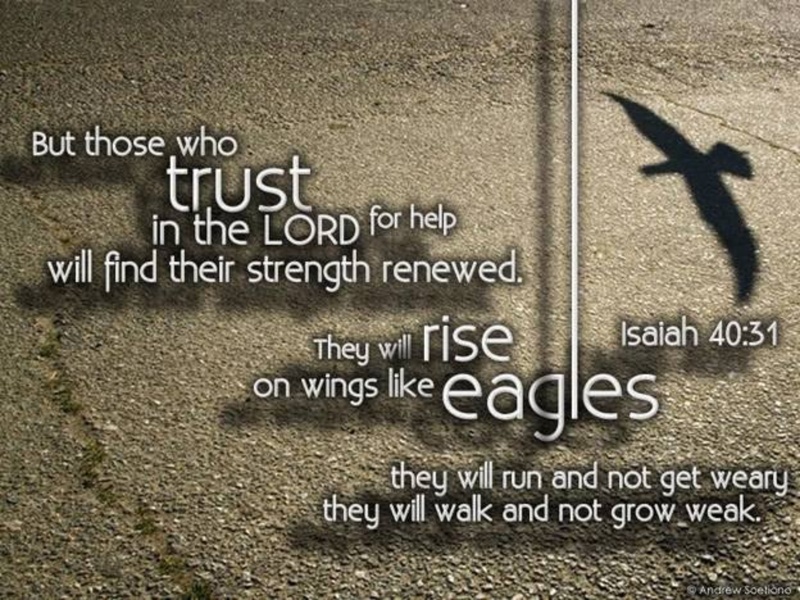 Keep trusting God, dear friend, and see each task as a way of serving Him. God tells us to commit our way to Him, and that includes each task of each day, no matter how trivial it seems. He sees our faithfulness when others do not. He will strengthen our hearts. He never grows faint or weary. Find rest, dear friend, in God’s love for you today. 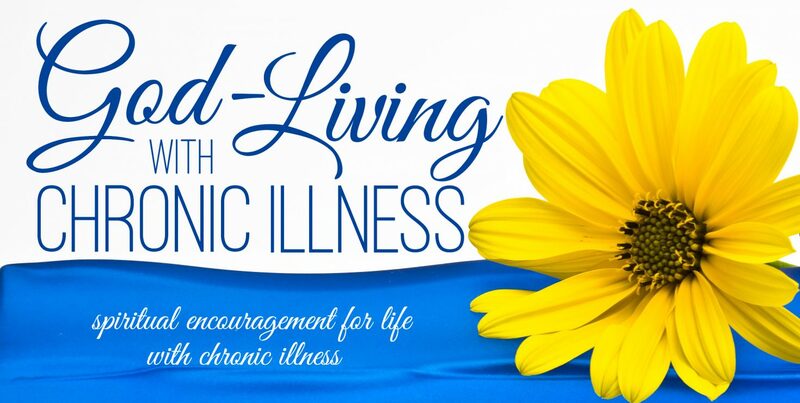 You saw this post first on God-Living with Chronic Illness, a website designed to provide spiritual resources and encouragement for those living with chronic illness. The author and God-Living with Chronic Illness do not receive any reimbursement from people, sources, websites, or products that might be mentioned above. The information included here should not be construed as medical advice and should never take the place of your physician’s or mental health counselor’s recommendations. Hi! 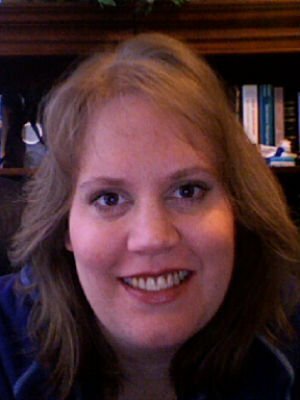 My name is Laurie, and I am a wife, mom, nurse, and patient with fibromyalgia. My passion is to help others living with chronic pain and illness. I hope that you will join us on Facebook and on the God-Living with Chronic Illness website for spiritual encouragement and resources. Welcome! This entry was posted in Dealing With Emotions and tagged Chronic illness, Cope, coping, eagle's wings, Overwhelmed, strength, Trust. Bookmark the permalink. Thank you. I am glad it was helpful.